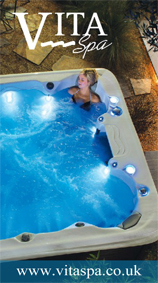 Highland Home Centre has opened its doors to the audience in 2011 offering quality hot tubs for residential and commercial properties. As the time went and our portfolio has grown we have started our trainings and have become a HETAS approved installer and reseller for quality wood burning and multi-fuel stoves. Hydropool has always been a market leading company in innovation, customer satisfaction and after care. To learn about our hot tubs, please click here. On display a selection of Self-Cleaning hot tubs including a 17-ft. long Swim Spa. We offer private wet test facilities. Book in and try one of our hot tubs.